Windshield damage is more than just an unsightly blemish on your vehicle. According to ABRA Auto, it’s also a major safety risk that requires immediate auto glass repair. Here, this team of automotive specialists explains why. Chips and cracks, whether they’re slight or severe, can obscure your vision and make it difficult to see while driving. Over time, small chips may also expand, causing large scale fissures. Lastly, if you have preexisting windshield damage and are in an automotive accident, your windshield is more likely to pop out during the collision. Thus, if you sustain windshield damage, you should visit ABRA Auto as soon as possible. Their auto glass repair specialists will be able to fill the crack and get you back on the road in no time. 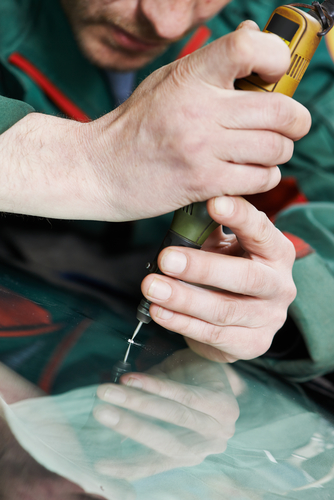 Visit Your Local ABRA Auto for Auto Glass Repair! Do you have windshield damage? Stay safe and contact your neighborhood auto body shop for expert glass repair today!